My friends, Dave Gustafson and his wife, Alice. You never think cancer will enter your life or that of someone you love, but 3 1/2 years ago I lost my dad to cancer and now it has a long-time friend, Dave (Gus) Gustafson, in its grasp. Dave was recently diagnosed with pancreatic cancer, and while survival rates are improving for many cancers, pancreatic cancer remains a particularly stubborn enemy. I'm hoping you'll help me change the statistics for this disease by making a donation to our 'PurpleStride' team - Team Gusto - in honor of Dave. 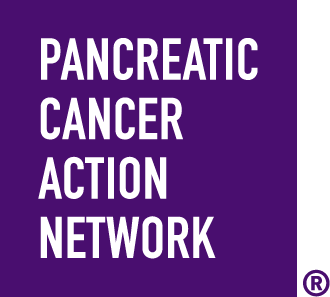 Every dollar you give helps the Pancreatic Cancer Action Network continue their important work improving outcomes for pancreatic cancer patients, including Dave.